Mix the crème fraîche, lemon zest and juice together in a bowl, to taste. If not making your own, heat the blinis according to instructions (usually 4 minutes in a hot oven will do) and leave to cool slightly. 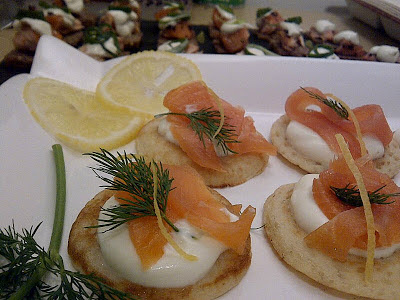 Top each blini with a dollop of the lemon crème fraîche, followed by a draped ribbon of smoked salmon, a sprig of dill and a thin strip of lemon zest. 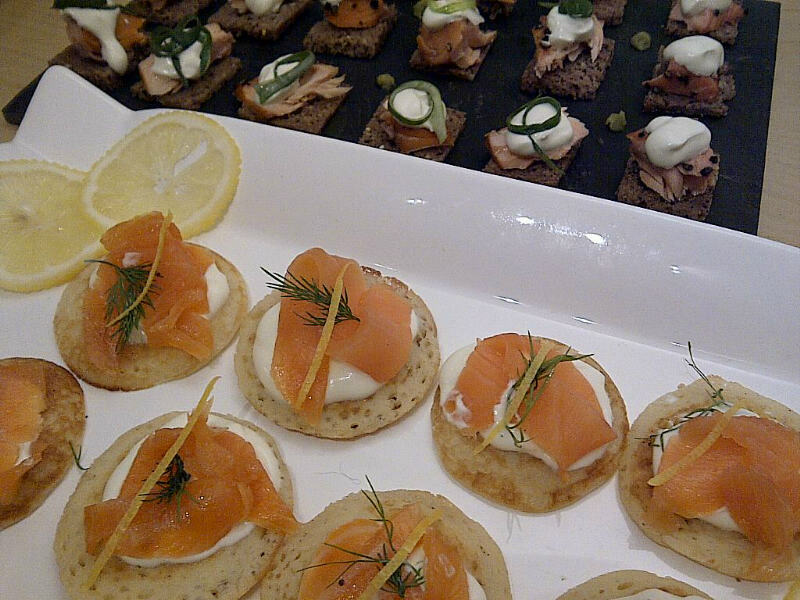 Serve immediately with chilled Champagne. 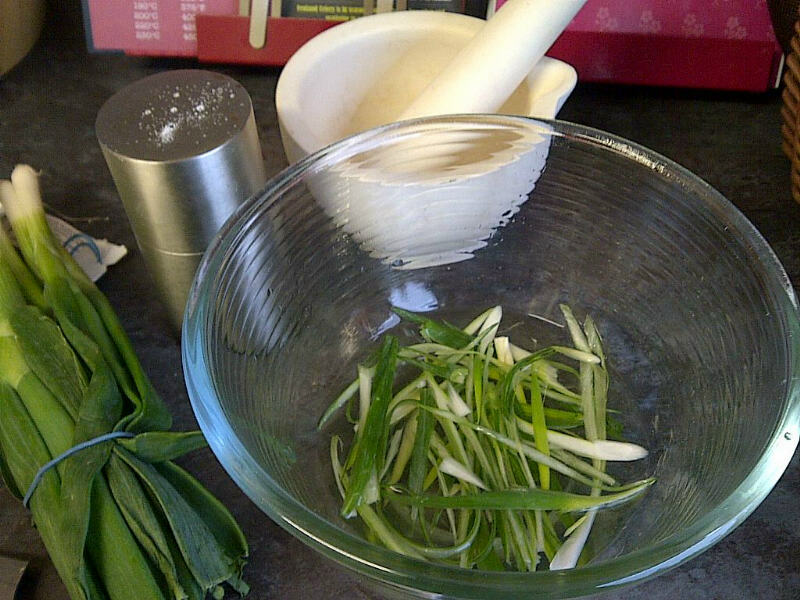 Place the slices of spring onion into a bowl with the rice wine vinegar, water, sugar and salt, mix well and cover with cling film. Allow at least an hour in the fridge for the onion to pickle. 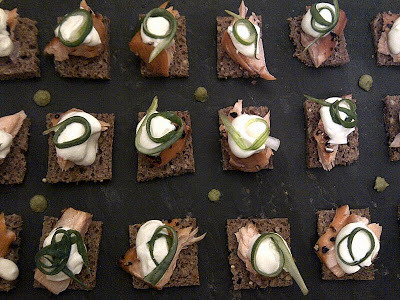 Mix the crème fraîche and wasabi paste, to taste, and dress the rye bread squares with a piece of flaked salmon followed by a small dollop of the crème fraîche. When ready to serve, drain the pickled spring onion and curl each strip around your finger before placing on the top of each canapé. Add a few blobs of wasabi paste to the serving plate and serve with chilled Champagne.